Kari Underly is a woman at the forefront of her craft and a force to be reckoned with. She is a pioneer in the meat industry, known for developing new cuts of meat such as the Flat Iron steak and the Denver Cut. 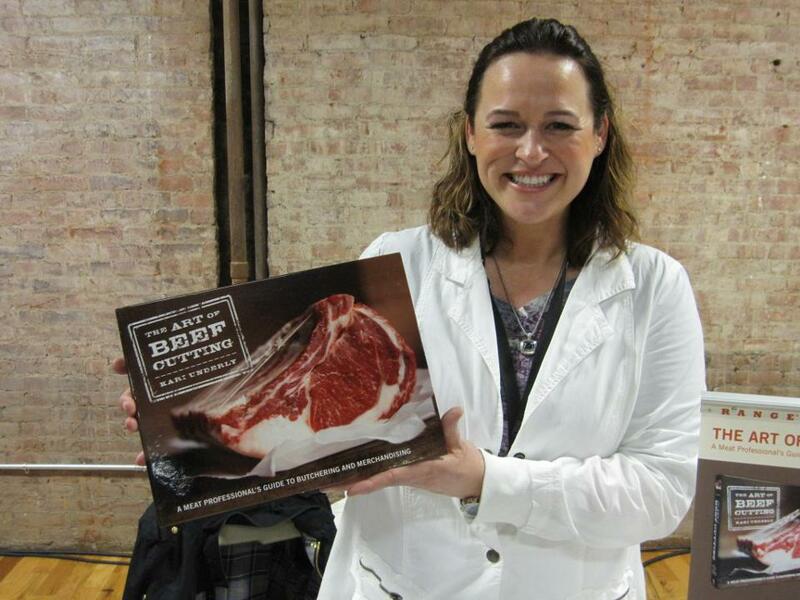 Underly is a third-generation meat cutter who started off at her father’s family butcher shop in South Bend, Ind. Today, she runs her own company, Range Inc. — a meat-industry consulting firm based in Chicago that offers research, development, merchandising, education and training. To know Underly’s story is to know why and how she became a successful pioneer in the industry. Strassburger: What is Grrls Meat Camp and what do you hope to achieve through it? Underly: I have been leading and empowering women for longer than I realized. Honestly, for a long time, I didn’t see myself as a woman in a man’s world. It was just my world. Of course I’ve had my challenges, but I’ve always been around the meat business and have never accepted that my place, a woman’s place, was not at the butcher block. When Kate Hill, who founded Grrls Meat Camp, contacted me to lead a group of women in France, I was on my way. Anything to empower women in the meat business, I’m in! I had already led some women’s workshops and seminars, and knew that it was quite powerful. But if you are looking for a campground-type setting, Grrls Meat Camp is for you! What I love most about women’s workshops and camps is that different segments of women in the meat business come together and learn not only from me, but more importantly from each other. Farmers, ranchers, chefs, butchers, photographers and writers all gather, and the magic happens. I hope these workshops, camps and seminars help women find their voice in a male-dominated industry. I know I’ve been inspired. Strassburger: Tell us about your plans to open a butcher school. Underly: There is a lack of formalized and certified training opportunities in the craft, trade and art of butchery. Only a handful of trade schools offer basic meat-cutting training. And while existing culinary programs touch on basic anatomy, meat-cutting and meat-cooking basics, their curriculum and facilities are unable to successfully provide the in-depth, hands-on education needed to produce the highly qualified and knowledgeable butchers demanded by today’s consumer-driven marketplace. The mission of Range Meat Academy (RMA) is to create and promote high standards for excellence and integrity within the butchery trade by providing the most comprehensive, respected certification program in the food industry. RMA aims to be the leading butchery education and training program in the industry. My vision is that RMA will be housed in a cutting-edge facility and equipped with a team of highly qualified instructors. We will offer in-depth, hands-on training on all aspects of butchery from the farm, to anatomy and myology, to cutting and merchandising. Vital to its sustainability, the academy will be complemented by a fully operational butcher shop, a small eatery, as well as a demonstration kitchen, which will establish RMA not only as a unique training facility, but also as the destination for all things meat among food enthusiasts. Upon completion, students will be well-equipped to become successful butcher/owners and meat managers, meat cutters or meat clerks. Business-plan writing will be required at the highest level, master butcher. In addition to the professional curriculum, the school will offer recreational courses for at-home butchers and enthusiastic consumers interested in honing their basic butchery and cooking skills. We are currently seeking investors, partners and steering committee members! Strassburger: You have been on the radio and TV. As a meat industry veteran, what type of reception do you get from the consumer media when you’re there, and based on that, how much educating of the consumer media do you think the industry needs to do? I said, “Excuse me, did you just say, ‘pooh’?” And, yes, she had said “pooh”. Meat is a tricky topic to cover, and not only consumers, but even so-called “experts” can get their facts a bit messed up. I understand the need to sell headlines, but we in the meat business need to be more proactive about our story. When I am on TV and the segment is over, that’s when I realize I need an entire show, there is so much to say and so much to teach! The talent and the support staff tend to stick around and continue to ask questions after the segment. But consumers never see that part. Consumers are confused, our labels are mind-boggling, and we sell way too many confusing cuts. We need a way to get the facts out there on both sides of the issue; but sometimes there are three or four sides. We need to have those points debated and let the consumers make educated decisions on their issue of the day. I always say, all foods fit. Strassburger: Your first book, “The Art of Beef Cutting”, was nominated for a James Beard Award. Do you have any plans to write another book? Underly: I sure hope so, [but] the publishing business is not what it used to be, that’s for sure. My next book will be in electronic format with an expanded video component, and it will focus on pork. I would also like to extend “The Art of Cutting” series to other popular proteins such as bison, lamb, goat and possibly wild game, but I need my current book to sell out first! 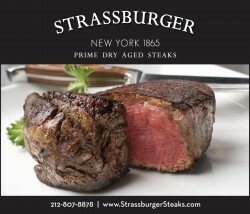 Strassburger: Do you prefer to cook or go out to dinner? 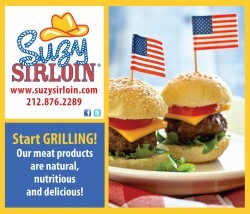 Strassburger: When the Beef Checkoff hired you to take on new cuts did you already have any invented? How long did it take to come up with the Flat Iron and/or Denver cut, for instance? Underly: The Beef Checkoff hired me to help add value to the chuck. I worked on projects like the Flat Iron steak, which added value to the shoulder clod. I assisted in developing the cutting steps, and traveled the country implementing the program to the industry by teaching groups from the retail butchers to processors to packers. The science was conducted using funds from The Beef Checkoff, the University of Nebraska and the University of Florida. They were the true pioneers. Now for the chuck roll project, I channeled my experience working at the retail grocery store cutting more chuck rolls than I care to admit. I knew the chuck roll. When the team was looking at separating all the different muscles, I saw a way to group these cuts into under-utilized cuts, like country-style ribs, and add more attention to the precious Chuck Eye Steak, a cut many chefs have not had access to because the majority of chuck rolls are sold at retail. I also saw opportunities for retailers and foodservice operators to differentiate themselves from their competition thorough new product introduction and promotional advertising features like a profitable Beef Chuck Eye Country-style ribs! That is one my favorite cuts. Strassburger: Both of your grandmothers were in the meat business. What advice have they given you, or what have they taught you over the years to help you succeed? Underly: My maternal grandmother, Harriet Austin, owned Cavender’s Market with her husband, Bud. She is now 90 years young and claims she still has her meat-cutter’s license. My grandmother on my dad’s side, Cylia, butchered on the farm during the Depression. The biggest lesson she taught me was that you do not waste a thing. I guess that is why I was used to seeing chicken feet hanging out of the pot. I learned a valuable lesson: They make a great base for a stock. She taught me the art of preserving, gardening, butchering, sustainability; this is where I learned about whole-animal utilization. They were and still are both strong, beautiful women who always supported me and encouraged me to excel. Strassburger: What has been the most challenging hurdle for you to overcome thus far in your career? Underly: I feel as if I am running out of time. While finishing my first solid draft of “The Art of Beef Cutting,” I was diagnosed with Multiple Sclerosis (MS). My original plan was to self-publish. But with the fresh news of MS, I decided to seek representation to secure a publisher. I didn’t know what to expect, and I wanted to get moving. In life we never really know, but now I know that certain things in my life will probably change. One thing that won’t change is my drive and ambition. There is so much to accomplish! There are books to write, a school to build and TV shows to launch. So my challenge is accomplishing all my goals! I’m feeling good and ready to keep going and keep moving. That’s why I always say, keep it sharp, and keep cutting! And I’m not just talking about your knife.